RAHEENDUFF: 1. C0.75Ac Site with Outline Planning Permission for Dwelling. COONOGUE: C0.6Ac Site, Selling Subject to Planning Permission. C0.6Ac with Outline Planning Permission for Dwelling. 1. 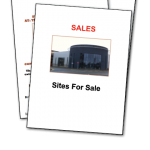 C0.75 acre Site, Selling Subject to Planning Permission. Directions: From New Ross travel to Fethard on Sea, passing poulfur Church (on the right) take the first road on the left, travel for 200 yards, site on the left. Directions: From Enniscorthy, take the Clonroche road, turn left at Ballymackessy for Adamstown, travel through Adamstown village, continue for 1 km, turn right travel for 5 km(heading for Old Ross) Sites on the right. BALLINAGOWN: C0.75 Sites – Subject to Planning permission. Directions: From Enniscorthy travel through Oulart village, cross the main Wexford Road , travel for 2 km, take the 2nd road to the right, continue to T junction, turn left. Sites 100yds on the right. Sites are 2 miles from Oulart village and 3 miles from Blackwater village. ASKINFARNEY: C1.86Ac Site Selling Subject to Planning Permission for 1 or 2 Dwellings. Directions: From Killanne, take the Rathnure road, travel through Rathnure village until you come to the Corner House Pub (on the left) turn left, travel for 2 km to T junction, turn right, travel for 0.8 km . Site on the left. POULPEASTY: 2. C0.5Ac Sites with Outline Planning Permission forDwelling & Garages. Tuesday – Cattle at 11 a.m.
Wednesday – Sheep at 10 a.m. Monthly Dairy & Suckler Sale every 2nd Wednesday of the Month.